Madison’s rich music scene adds two extra special venues during the summer: Lakes Mendota and Monona. Each offers amazing views while highlighting a diverse and eclectic lineup that’s sure to get your toes tapping. 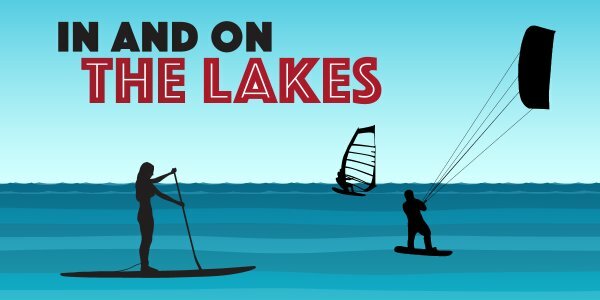 All you have to do is pick your lake! This outdoor space is a popular hangout for students and locals alike—and it’s even more appealing when music is added to the beautiful view. On Thursdays, Fridays and Saturdays this summer, you’ll find Wisconsin Jams Headliners: bands with Wisconsin roots! 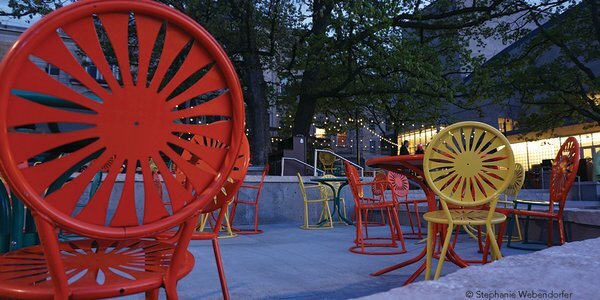 So grab a brat or some ice cream, find an iconic sunburst chair and take in the tunes with Lake Mendota as your backdrop. 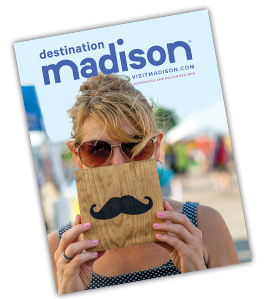 Madison&apos;s only Four Diamond Rated hotel has great views and live music from local singer songwriters, as well as national acts throughout the summer. 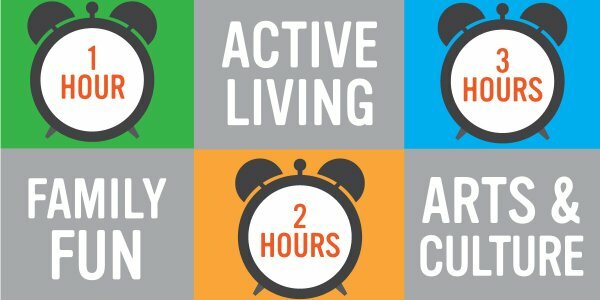 Enjoy the First Thursday Series on the first Thursday of every month, Brewgrass Fridays and Live & LocALE on Saturdays. All take place on the expansive (it’s almost an acre!) Plaza with a panoramic view of Lake Mendota. The iconic building designed by Wisconsin’s own Frank Lloyd Wright overlooks Lake Monona and hosts rooftop music in July and August. Concerts on the Rooftop takes place Thursdays in June and July, and features a variety of local bands. Dane Dances! occur every Friday night in August and feature everything from salsa to classic rock plus a DJ between sets. Seating is limited on the rooftop, so if you don’t plan to dance, feel free to bring a blanket or lawn chair. Time: Gates 5:30 p.m., music 7:00-9:00 p.m. The Sunset Music Series takes place on the lawn of the East Side Club with a gorgeous view of Madison’s skyline. Bring a blanket or lawn chair and enjoy the casual, backyard setting. 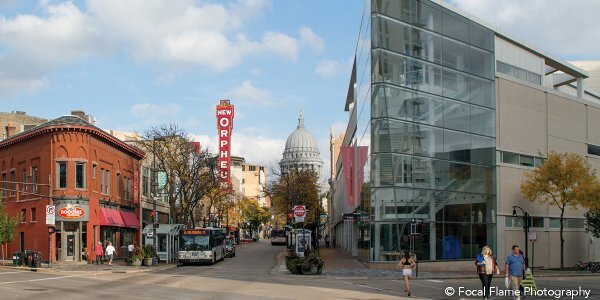 The lineup features national touring acts paired with some of Madison’s best local bands. You’ll also find different food carts each week and libations at the Tiki bar, making it a perfect way to spend a Thursday evening! Time: Gates 4:30 p.m., music 6:00-9:00 p.m. 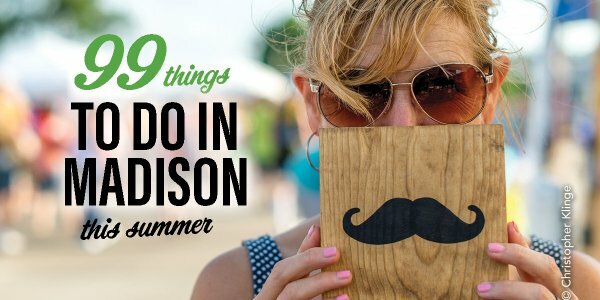 Check these items off your summer bucket list!